Y'all know I'm a California girl for sure and I love to find out about any west coast brand. I love it when designers/companies come out with cute tees/tanks and hats for me to rep my state. What I love even more is when I someone I know creates a line that reps my hometown. My longtime friend Alex and his friend Jason did just that when they came up with Private School. They created a line that was truly representative of them and the generation they've grown up in. Inspired by their life experiences as well as the everyday street style worn by themselves and their friends. It all started with a logo, the Bully. The true representation of Private School and the well earned Civilized Savage moniker. 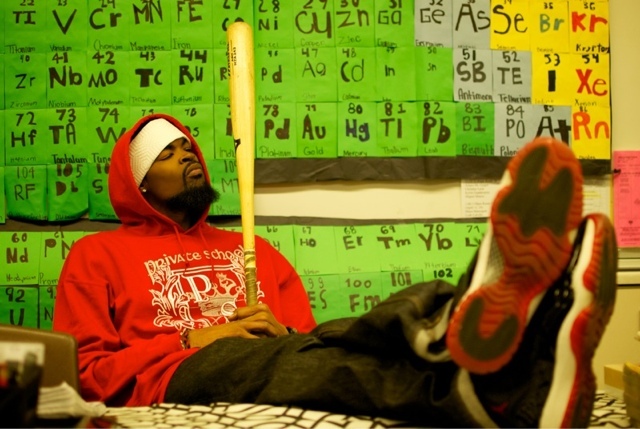 Always laced in the finest of fabrics and fly designers wielding a bloody bat and a " Get yours, take theirs" attitude. Private School represents the ones that thrived in spite of, and because of it all. From a generation destined to be lost from the start, to the survivors of the biggest drug and gang era the world has ever seen. 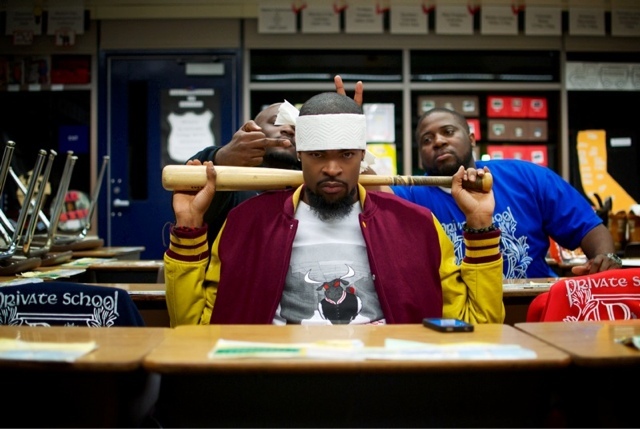 Using the lessons learned from the hustlers and gang members we grew up with, we applied those same bully take over tactics to the corporate offices, businesses and the situations we're placed in today. Using our knowledge from the block, the classroom and the boardroom to get ahead by any means necessary. Now, being that I am a product of both private high school and college, I could get behind the gorilla style marketing and logic that drives the brand. I mean...my college's motto was "find a way or make one" and I think these guys have pretty much the same mentality. I loved discovering that the shirts were super soft and comfortably stretchy. Hoping that they make a tank top version for the summer. It would be super cute as a loose fitting racer back that I could pair with a brightly colored bandeau. Perfect look for easy summer days. Just sayin. So go! 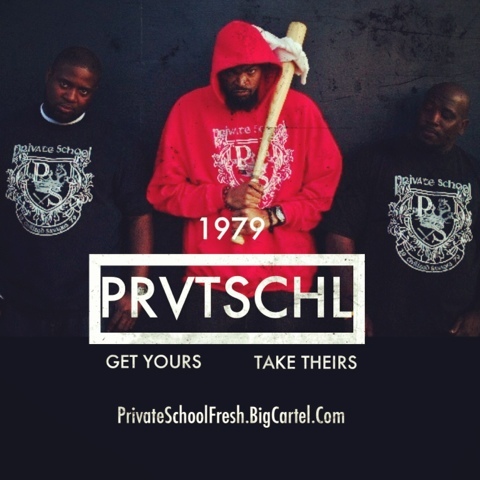 Check them out for yourselves and get to see what Private School is all about.